the right unit for the right job. No two Jobs are the same; anybody who has had experience in the construction business will tell you that. Here at Pacific Hire, we offer an extensive array of access equipment that is readily available for hire, Electric, Diesel, and Hybrid machines with the latest safety technology. We have been built from the ground up with a single purpose, and that is to help you finish any job at ANY height, both safely, and effectively. If your current job requires low-level access, we can provide flexible low-level platforms that can fit through standard sized doorways for inside jobs, these units have non-marking tires. If your project requires access to heights over 10 meters, Pacific Hire can provide you with electric scissor lifts and boom lifts that are fit to reach the highest levels safely. 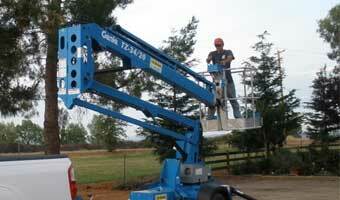 If an automatic lift is too much for your specific job, we offer a wide range of ladders and trestles as well. 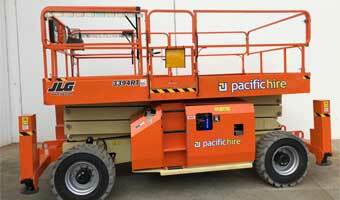 Pacific Hire is your one-stop equipment hire supplier. Whether working on an ongoing construction site or home renovation or maintenance, you must rely on an equipment hire supplier that is prepared to meet all your needs. We are experts with years of experience in the business. 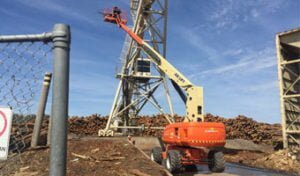 We know how challenging, and dangerous working on projects that require access to elevated heights can be; which is why we provide only the best equipment in the industry. Our access gear and equipment meet the highest standards of manufacture and are compliant with all industry regulations. For example, if the project you are working on will present your workers with electrical hazards, you will need non-conductive scaffolding to ensure they have safe and stable access to the trickiest and most difficult to reach spots. Whenever you browse our list of available equipment, you can rest assured that here at Pacific Hire we have the expertise and equipment to ensure your project reaches completion without a hitch. DIY types and professionals alike have come to learn that our name is synonymous with quality and experience. Just ask around! Here at Pacific Hire, we know our way around a construction site and whatever your need we have the solution.